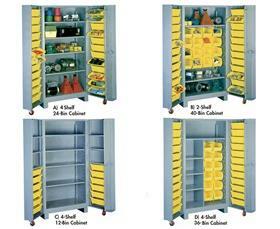 14 ga. steel construction delivers a superior storage cabinet. 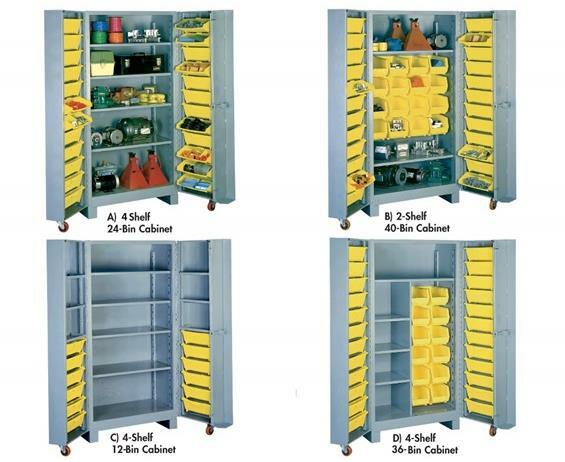 Unique Tilt-Bins add more storage space for small parts and supplies. 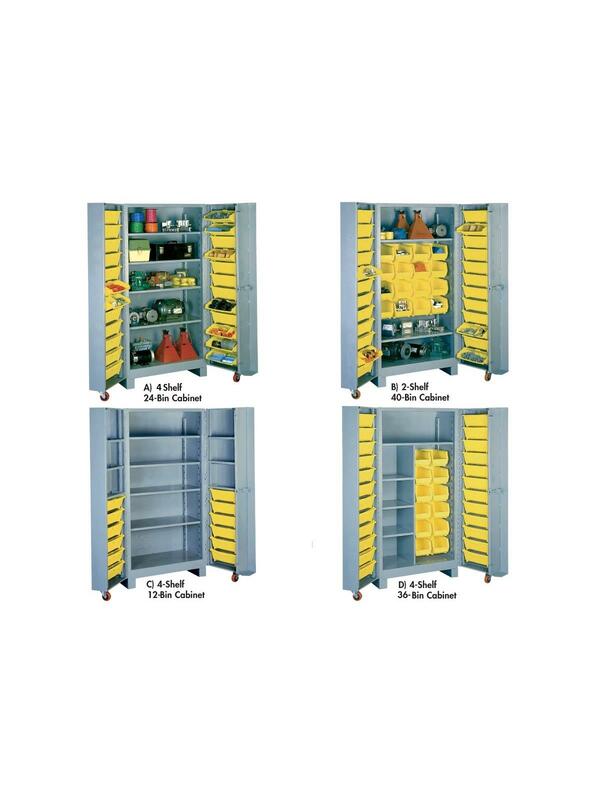 Easy to remove Tilt-Bins swing forward to allow 100% access to contents -- then tilt back for storage. Heavy-gauge steel doors have 3-point locking system for maximum security. Hard composition swivel casters and swing-out doors maintain positive alignment and allow smooth door opening and closing under heavy loads. Casters and legs (included) create clearance for forklift access. 21" D. interior depth. Doors are 7" D. Shipped assembled and ready to use. Dove Gray finish. FOB Shipping Point.